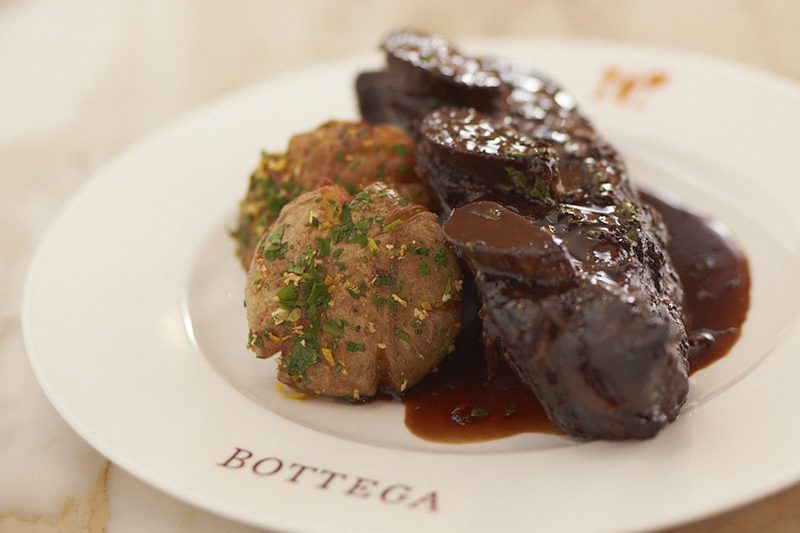 Bottega is an Italian word for an artist’s workshop, a place where a skilled craftsman practices and perfects his trade. Here, Chef Michael Chiarello shares the culmination of his life’s work in the kitchen, bringing together the best of Italy and Napa Valley in one unforgettable dining experience through traditional family recipes prepared with an inspired California twist. Chef Chiarello is acclaimed chef, Emmy-winning host of Food Network’s Easy Entertaining, and proprietor of Chiarello Family Vineyards. 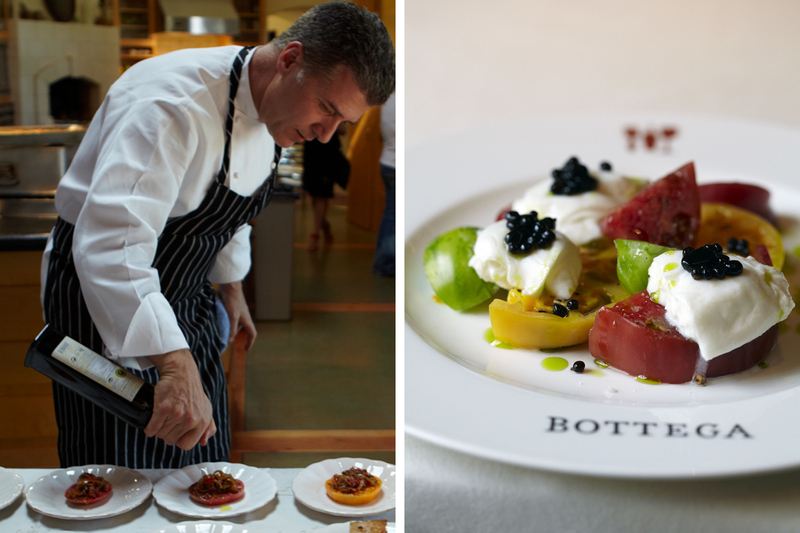 Bottega Restaurant in Napa Valley has been named Best Newcomer by Zagat, Top 10 by Forbes, Top 20 by Esquire, and Top 100 Bay Area by Michael Bauer. Bottega is located in the historic Vintage Estates, one of the oldest wineries in the Napa region. 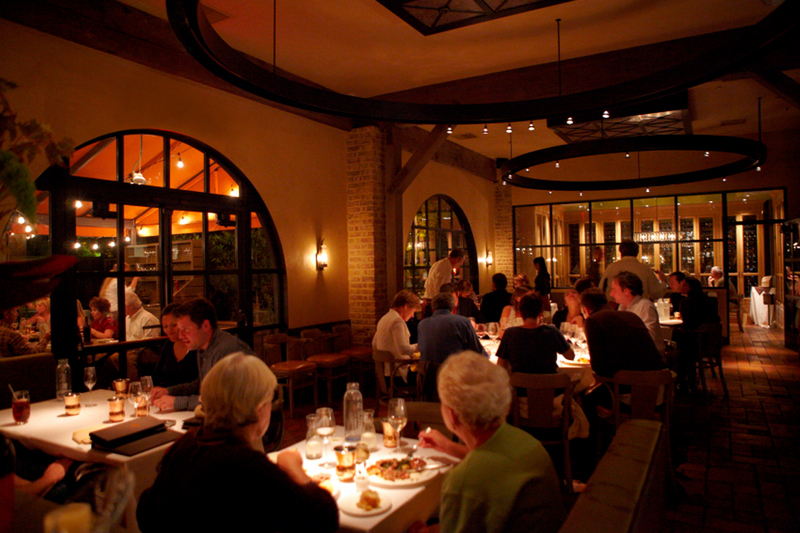 Dine outside on our expansive patio, complete with two stone fireplaces to warm you on the coolest Napa nights. Inside, you’ll find a warm, rustic setting adorned with Venetian plaster, Murano glass chandeliers, soft leather chairs, and ample tables — the perfect atmosphere for a meal and an experience to remember. To reserve a table with us, use Resy or call 707-945-1050. For parties of six or more, please make your reservation directly by phone. Please note that we accept phone reservations daily between 10:30am and 9:00pm.